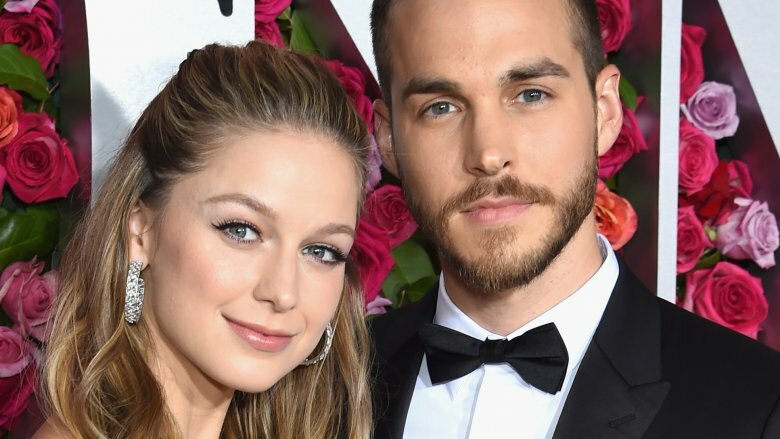 Actress Melissa Benoist, who stars as superhero Kara Danvers on The CW's Supergirl, announced her engagement on social media. 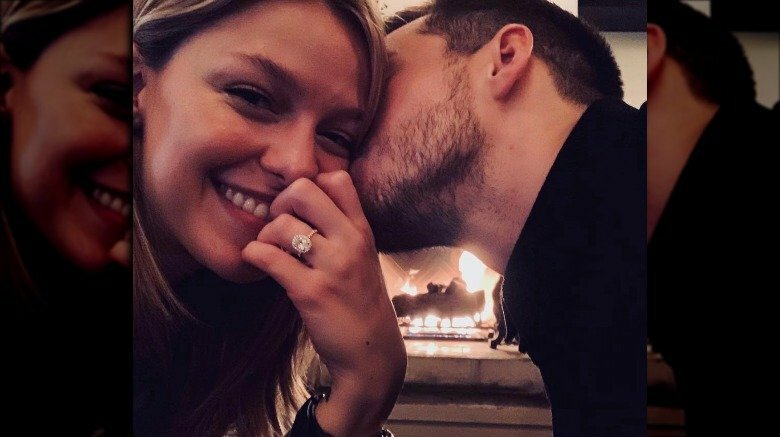 On Sunday, Feb. 10, 2019, Benoist took to Instagram to share a photo of herself smiling in front of a fireplace and showing off a sparkly engagement ring on her finger while her now-fiancé and Supergirl co-star Chris Wood gave her a kiss on the cheek. "Yes yes yes," the 30-year-old wrote in the caption, noting, "It will always be yes." Benoist's brand new sparkler was designed by Jennifer Meyer, as noted by Benoist who tagged her ring with the jewelry designer's Instagram account. For his part, Wood, 30, posted the same photo of the pair in front of a fireplace on his own Instagram page. The actor, who starred as Kai Parker on The Vampire Diaries, wrote, "The happiest." He also shared a picture of himself with Benoist in formal wear. In the caption, he told his 2.4 million followers, "Not from our wedding BUT IT WILL BE SOON." As noted by Us Weekly, Benoist and Wood met on the set of Supergirl. Wood joined the show in 2016, playing Mon-El, a love interest for Benoist's character. In March 2017, media outlets reported that Benoist and Wood were dating, after they were seen getting close in Mexico. At the time, a source told E! News that the two "kissed passionately several times" and "appeared to be in their own world." Benoist's future wedding to Wood would mark her second marriage. She was previously married to her Glee co-star, actor Blake Jenner. Benoist and Jenner, 26, finalized their divorce in December 2017, after four years of marriage (via TMZ).